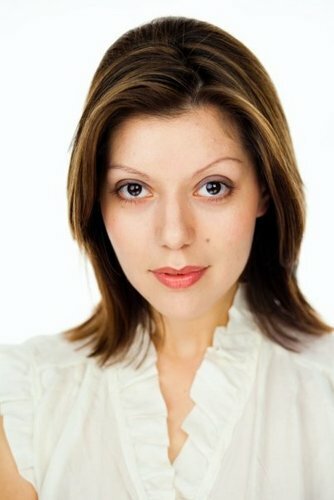 Having worked with “The Meridian Tonight” team on Fred Dinenage’s Family Tree, and found his ancestors fighting at Waterloo against Napoleon and another going down on the Titanic, I was approached by delightful Vanessa Cuddeford of ITV’s “The West Country Tonight” programme to see what I could do for her Family History. The first step was to find where the name originated from. Cuddeford is an especially rare name, its distribution in the early 1800s was mainly from the southwest of England, with a few scattered familes in other areas notably the coastal areas of Cheshire, Kent and London, however, investigation showed that all of these Cuddefords in the early 1800s were almost certainly born in the West Country, and moved to other areas for work related reasons. The name was absolutely anchored in the South West of England. The meaning of the name is more problematic. It appears to be derived from “Cuthbert’s Foird” Cudde being a nickname for Cuthbert, and on this reasoning we would expect it to have been derived from a village called Cuthbert’s Ford or Cuddeford. However such a place does not exist in The UK. A mystery to start with? The only clue is a mention of a place called Cuddeford in a mediaeval text from 1301 referring to the De Clyfford Family who held lands and knight’s fees in “Cuddeford and Coombe” and , “Awlescombe” villages. None of these places now exist with those names, but “Awliscombe” is a village outside of Honiton, and it is therefore likely that there is a lost mediaeval village of Cuddeford in the same area. Awliscombe is about a day’s walk from the Exeter area where we first find the Cuddeford family. It is very likely therefore that the Cuddeford family, were itinerant peasants without their own surname, who left their home village probably around the 1350s most likely in the aftermath of the Black Death, when the population of England was reduced by a third. Whole villages were wiped out by this outbreak of Bubonic Plague. The plague had originated in the Black Sea Steppes where the Genoese fortified trading post of Caffa was being besieged by the angry Khan of the Mongol “Golden Horde” in punishment for the Italians ignoring his authority. Things took a turn for the worse when the plague first erupted in the camp of the besieging Mongols, and to avoid further infection of his own army and spread the infection among the Genoese, the Khan had the bodies of plague victims loaded onto his catapults in place of rocks, and hurled over the walls into the city. This is likely to be the first reliably documented case of Biological Warfare in History! Fleeing from the siege, the plague, and the Wrath of Khan, the Genoese put to see in their remaining galleys and headed off across the Black Sea to head back via Byzantium to Genoa. But the plague was with them, on some ships the entire crews died before reaching home, and large Genoese Galleys manned by blackened corpses drifted like ghost ships for some time on the Black Sea. 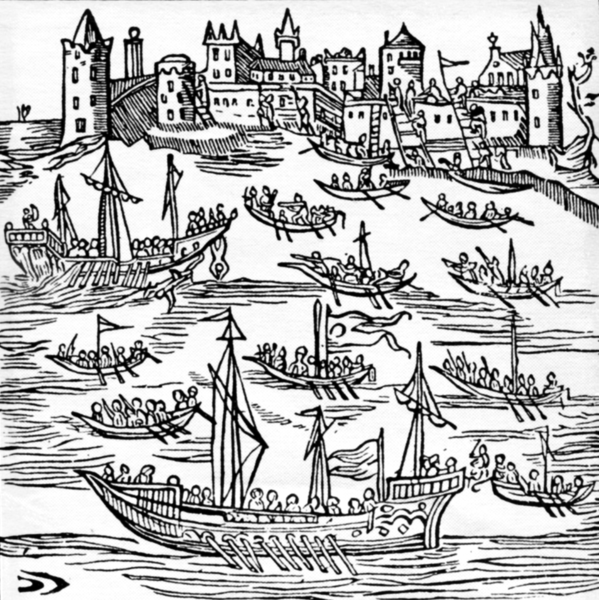 The few that did make it back, brought their diseased bodies, and flea infested rats with them to spread the plague in the major trading port of Genoa. 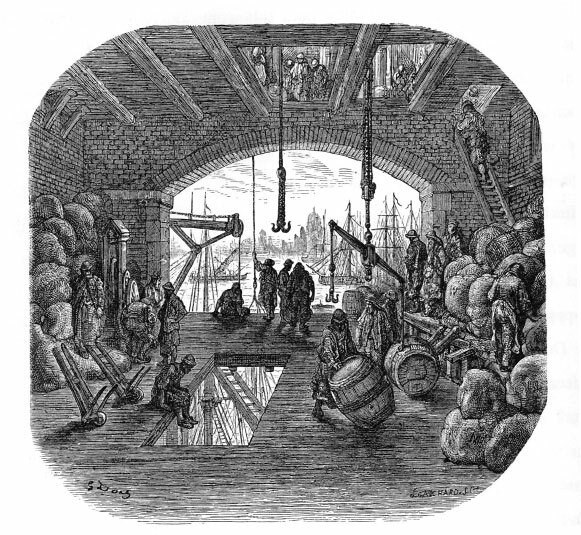 Within months it had spread across the Mediterranean, and on to France, where a ship from Bristol was loading up with wine in a port in Gascony, one of the West Country sailors became infected with the plague here, and by the time the ship reached port in the coastal village of Melcombe in Dorset, he was badly sick, and the plague now taking the Pneumonic form spread on the breath, he brought the infection in the the Kingdom of England, for good measure the ship sailed on to it’s home port of Bristol, ensuring that the plague would have a similar entry point there. The plague averaged about a mile a day in its spread, the little village of Cuddeford lay immediately in its path from two directions, it would have taken about two months before the first signs of coughing and swellings at the armpits and groin would have manifested themselves in the village, and by the autumn of 1348 the Church graveyard would have been full, and by the winter there would have been corpses in the cottages, village lanes, and fields. There would not have been enough able people left to bury the dead. On average three quarters of people who came into contact with the disease caught it in it’s aggressive form, half of these died. That’s on average, however in small villages with many people marrying locally and effectively having little diversity in the gene pool, it was apparent that whole villages were dieing out through lack of resistance. Every European alive today who had ancestors in Europe at the time of the plague is descended from someone with a degree of natural immunity, all others died out. So who was left? In our case, Vanessa’s ancestors had enough immunity to survive and flee the dieing village of Cuddeford for a thresh start elsewhere. We know they did this as their surname bears their heritage, i.e. the place they came from, not where they lived when they acquired the name. There is no point in calling everyone in a village by the village’s name, this only happens when they leave it for somewhere else. the Cuddeford name, like many in England, therefore, in a very real way, owes its origins to a Mongol Khan’s attack on a Genoese trading outpost in the South of Russia. This small rag-tag band of survivors, now called Cuddefords, suddenly became a commodity in great demand by landowners, as the workforce in many areas had been wiped out. 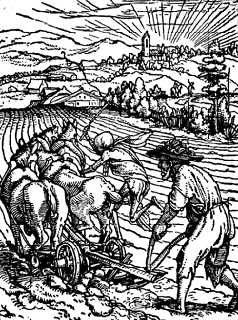 Although against the Law at the time for peasants to leave their home Parish and seek work elsewhere, this meant that many peasants when they fled their home villages could find work for landowners who offered higher wages to those willing to relocate and risk the law in doing so. Once in the new area, these peasants would have been called by the name of their old village for identification purposes, and this would eventually have become their surname, especially once they were being counted for the Poll Tax in the 14th and 15th centuries and required a surname to be identified for tax purposes. Although it would take some time and a peasant’s revolt in the 1380s to help achieve it, the Black Death, thanks to the Khan of the Golden Horde, would ensure that peasants in England would no longer be serfs, but would be free men and women. This the Cuddefords would be after walking for a day heading for the City of Exeter, finding their way barred by the panic stricken burghers of the city, afraid to admit more plague victims, they made it to the village of Ide just outside the City of Exteter, where landowners with a more pragmatic mind realised that if they weren’t dead from plague now, then they probably never would be, and were very welcoming of a fresh family to gather the hay and thresh the corn on newly inherited lands. every cloud has a silver lining, for those marked out by genetic luck and ambition. The family would remain in Ide for the next 300 years. 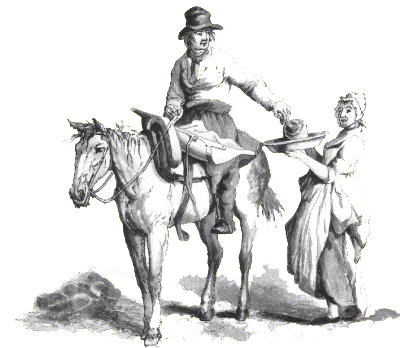 By the 1740s the Cuddefords had started to move again, this time from Ide to Newton St Cyres. Why the move took place is not entirely clear, it may have been because of a marriage and better work prospects, or possibly because there were many boys born in each generation, and this may have cut down the number of opportunities for all of them to follow in the same family career as their father in the same location, causing some of the younger boys to look for opportunities in other villages in the area. Whatever the reasons the stay at Newton St Cyres was short, after a couple of generations into perhaps the 1790s, the younger generations moved on again. The move from Newton St Cyres to Plymouth was probably not a hard decision. Plymouth in the late 18th and early 19th century was a boom town on the back of the growth of the Royal Navy, and Plymouth was a major Naval Base. So the opportunity for a Butcher with links to the farming communities round about would have been a good one. This was the first generation of the family that could definitely have considered themselves tradesmen and therefore middle class, rather than working class. John Cuddeford moved to Plymouth to better his family selling meat to the Navy and growing populace of the town, and his family prospered, with 12 children over 20 years. Life was good, but a Butcher had to look after his interests, and in 1832 John had a Sheep stolen from a business associate’s field, which may have proved to have been a hopeless case, had not the perpetrator one Francis Ford of Plymouth, not been seen by two witnesses in the field at 5 o’clock in the morning with his dogs, one of whom, he was loudly shouting “Towzer! Towzer!” to. He used the dogs to corner the sheep by the hedge surrounding the field, then dragged it through the hedge leaving some of its wool stained with dye for identification stuck to the hedge. He then proceeded to herd the reluctant sheep by tieing a string to one of its back legs and driving it forward with his knees against its hind quarters, obviously against its will, down the country lanes to Plymouth, he was seen by a witness doing this, and when he arrived near his house in Plymouth, stopped to verbally intimidate a neighbour, a shop keeper who was opening up for the morning, asking him What was he about? Who he was looking at? And why he was stopping there? he couldn’t have acted more guiltily if he’d tried. Next his wife asked a passing neighbour to give her a light for a Candle in the house, letting him in where he came face to face with the Sheep in their living room. Word of John Cuddeford’s loss, and Francis Ford’s sudden acquisition of a sheep for a lodger came together, and the local constable was sent round to investigate, where he found the skin, wool, and various cuts of mutton from the sheep concealed in the house. Francis Ford was arrested just outside Plymouth, and said that he had not been home for several weeks, despite having been seen by a number of witnesses, and stopping to have an argument with his neighbour whilst holding the sheep on a lead! In the court Ford put up a spirited, if inane defence, saying now that he had been away when the sheep went missing, and saying he had only gone home because his wife needed him to eject some drunken sailors from the house. He also said that if he had been seen driving an animal alone the lanes, it had been a dog not a sheep, then brought his star witness, who swore he was of good character, and said that he had sold Ford some mutton for his dogs which could account for the mutton in the house. Unfortunately under cross examination it was found that the witness was actually his son-in-law! His defence collapsed, the jury found him guilty. At this point this would just seem like an amusing story with the petty criminal being found out and suitably punished, were it not for the fact that in 1832 the Judge considered a suitable punishment to be the death penalty. The Judge donned the black cap and sentenced Francis Ford to be taken to a place of execution and hanged by the neck until dead. John Cuddeford prospered and he lived to the ripe old age of 82 in Plymouth. Charles Cuddeford didn’t follow his father into the Butchery trade, nor did he have to leave the area to find employment, for as Plymouth boomed, so did the opportunities for bright and educated young men. Charles found his niche working for the crown as a Customs Man. His role was to have charge of the Royal Customs Stores in Plymouth, a very responsible position, and one that required a high degree of integrity, literacy and numeracy. Charles raised and educated his family in and around Plymouth and would have been a well known member of the community, ensuring his nine children were well educated and had a secure future. Charles lived to be 67, finally dying of a weak heart, which had debilitated him sometime before with Dropsy causing swelling in his feet and legs due to poor circulation, and forcing him to walk with a stick. One interesting fact is that at least four generations of Cuddefords that we are aware of had deaths through heart failure in the family, so in the male line at least, there seems to be a tendency to this, perhaps a fair swap for the genes that enabled the original Cuddefords to survive the Black Death? He left a few hundred pounds for his wife Elizabeth on his death, not a great amount of money, but a small windfall to provide for her in later life. Elizabeth herself lived to be 84, and spent the last nine years of her life with her son William at his pub in Hemel Hempstead. William Henry was born in Plymouth in 1846, and grew up there, and trained as an accountant, in keeping with his father’s trade as Keeper of the Queen’s Warehouse in Plymouth. He marries a local girl Elizabeth Caroline Roberts Johns, the daughter of a Naval pensioner in 1868, and almost immediately after the couple leave Plymouth and catch the train to London. Strangely William Henry turns up in Great Ormond Street, Holborn in London, as a “Seedsman” of all things, and as he is sometimes described as a Florist it seems that his business was Horticulture rather than Agriculture, how this came about is not clear. All of the couple’s six children are born in the area, so were technically Cockneys. The area they lived in was a reasonable one, lower Middle Class, and William must have made a good living, as he stays there for about 20 years, until in 1891 at the age of 45 he moves with the family to Hemel Hempstead in Hertfordshire and takes over the Queen’s Head Pub, as well as owning or renting a separate house for his wife and children nearby. Again why the sudden change in employment, and relocation to a completely different area is a mystery, as is where the money came from to afford such a jump in circumstances. Perhaps the answer was that the family couldn’t really afford it, as in 1900 William Henry is declared Bankrupt. Six years later Elizabeth, his wife of nearly forty years dies of Breast Cancer, followed four months later by William Henry, who by this time was living with his married daughter and her family in Manchester. He died of TB, a condition generally of the poor, which may be an indication of how far he had fallen. A sad end, as all of them are, to a varied and eventful life, with a large and stable family. William Henry had definitely lived up to the aspirations of those first Cuddefords, who had made their way to Ide after the Black Death, succumbing ironically at last to the “White Death” of TB. 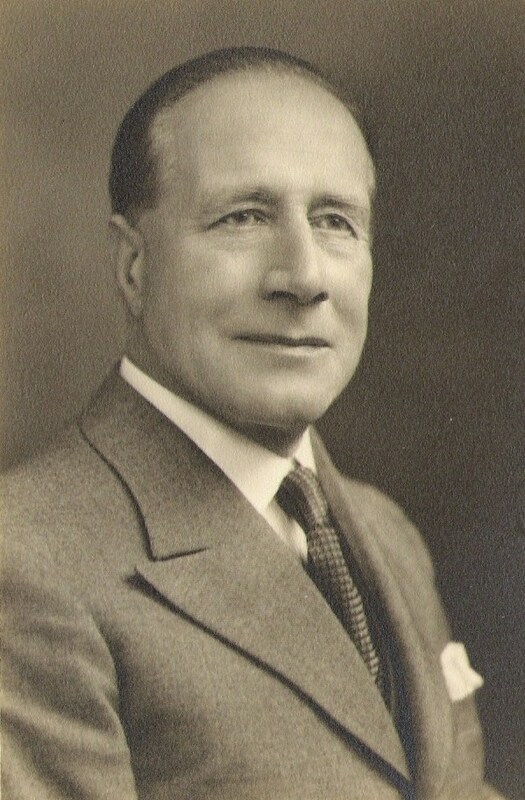 1872 – 1956 Charles Cuddeford from Broker’s Clerk to East India Company import and Export Merchant. 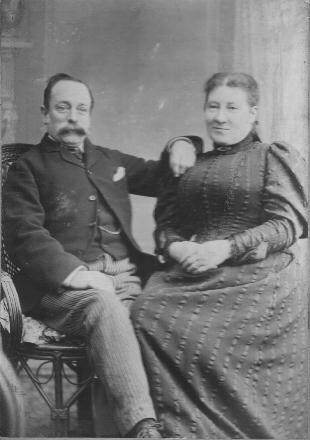 Charles being well educated and no doubt reasonably well connected in the import and export trade through his father’s Seed business, finds employment a s Broker’s Clerk in St Albans, and works his way up to becoming part of the business as an Import and Export Merchant, marrying a local girl Anne Gertrude Dixon there in 1898. But for an ambitious man in a merchant’s company they was really only one place to be, at the centre of the thriving Empire, and at the turn of the 20th century he moves the family back to the London suburbs living in Wilesdon, Cricklewood, and Hendon, much nearer to the centre of London commerce than rural St Albans. Life was good and the family prosperous but the age of large families was coming to an end, the couple had 2 children a boy and a girl born in 1902 and 1908. Charles rise was strong culminating with him receiving the Freedom of The City of London in 1922. Charles and Anne lived out their long lives together retiring to Westcliffe on Sea in Essex, and dieing within a year of each other in 1958 and 1959. The following generations brought us to Vanessa’s grandfather and father, and then to Vanessa. Always great to know that we’ve been of some assistance Jan! Lots of strange, seemingly unrelated events, can set a family story in motion, glad you enjoyed it.